October is a month where I have a lot of appointments and work and uni stuff. There's a lot of workload and I'll be going back to Myanmar to travel with my mother so it'll be more hectic for me. But I'm so excited for the trip though. I also have a lot of assignment dues on this month, especially today (1st of October) since I got 3 assignments due on the same day. I'm writing this blogpost in a few days in advance so that I can focus on my assignments. I wonder how panic I will be on the day. 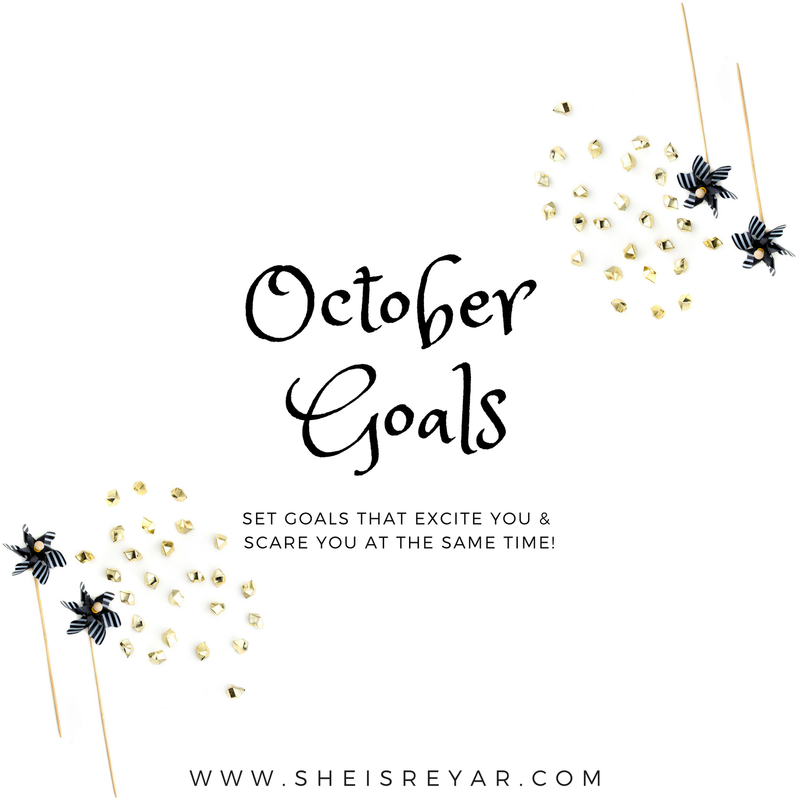 So, this month, I have a few goals that I want to achieve. If you have followed me or read my blogposts in the past, for the past 2 months, I have been writing one blogpost everyday just because I want to get back to blogging. I blog not because of fame or money or products, I blog because I want this platform to become a personal blog where I gather memories and what I did for my life and how I cope with the changes in life. So, I want to continue writing everyday even if the topic is a bit weird or a bit too outdated. So, if you are a returning reader of my blog, I'm so thankful for you to read my blog and I hope you'll continue reading this blog in the future. I've been spending a lot of money where I decided that I would save up for a bit (if you take a look at my hauls), this month I want to spend less money while I'm travelling and afterwards. I want to spend less money on cosmetics and clothes so this is my goal for the month. This is another goal of mine for the month of October. Since I'll be travelling, I want to finish my assignments early so that they'll be good to go without me trying to rush everything last minute. So, this is my goals for the month. I'm excited to travel back and go on a trip with my mother and this time, I'll be bringing my DSLR so I'll take loads of photos.